Licensed practical nursing is often an attractive proposition for someone who wants to go into nursing. The courses do not take very long, they don’t require intensive college study, and they can be worked into a busy mom or dad’s schedule. Getting your LPN is often a good first step on the road to making a career in nursing, and LPN to RN bridge programs are the path of choice. However, some limitations are inherent in the LPN degree. First, you do not get paid as much per hour when compared to RNs. This can make paying back loans and supporting a family difficult, especially when many LPNs do work that is similar to a RNs. Second, some job venues are closed to LPNs. For instance, many nursing homes work with a cadre of LPNs, but acute care hospitals may only use LPNs in supportive or minor roles. The bulk of patient care goes to the RN. 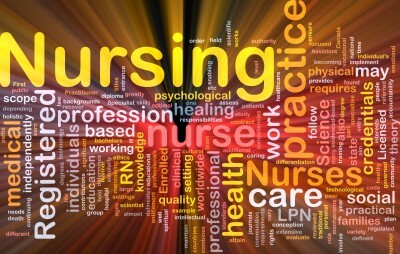 Finally, LPNs cannot advance far into nursing without obtaining their RN. To become a manager, a nurse practitioner, or other advanced standing nurse, you need to have an RN to build on. For these reasons, LPN to RN programs are becoming more popular. They offer LPNs the opportunity to improve their situation, advance their career, and still fit in a busy family life. Many of these programs are now available as online, night, and weekend classes to fit into even the busiest lifestyle. If you want to advance in nursing, then an LPN to RN program is probably your best choice. Staying an LPN will mean that you get paid less, have fewer opportunities for jobs, and have less opportunity for advancement. The great thing about these programs is that you can get your RN degree in as little as two years. The degree you will earn you an associate’s degree in nursing, and this is typically the entry level degree for most hospitals. This degree differs from a bachelor’s degree in nursing in a number of ways. First, it is much faster than the BSN. A BSN takes four years to obtain on a full time basis. If you need to take night and weekend classes, the BSN can take much longer than that. An ADN takes two years to complete full time, but if you need to take alternative scheduling, you can still have your degree in four years. Another item to consider is that the BSN requires you to take college level general courses. The ADN focuses mostly on nursing classes, although you may need to take one or two college courses to meet requirements for the degree. An LPN who is not interested in pursuing more than entry level nursing would do well to take an LPN to RN program. You would be eligible to work in most hospitals, could take supervisory roles in nursing homes, and generally earn better pay. In addition, once you have your RN, it is a relatively easy step to pursuing your BSN and all that nursing has to offer. LPN to RN programs are available in a variety of formats and academic establishments. One of the most helpful features of this type of program is the ability for flexible scheduling. For instance, if you work full time as an LPN and have a family to raise, you may find it difficult to attend classes five days per week during the day. LPN to RN programs help you solve this problem by offering classes at different times. If you take night classes, you may have to attend two or three nights per week, and the hours may be long. For instance, you may have class for four hours every Tuesday and Thursday. In weekend programs, you would be expected to spend at least eight hours on a Saturday and sometimes a few hours on Sunday to pursue your degree. Even in some night classes, you may need to take your clinical rotation on a Saturday. Clinical is an important part of becoming a RN, and you have to make allowances in your schedule for it. It is usually in addition to class time and can take anywhere from 4 to 8 hours to complete per week. Most LPN to RN programs can schedule this around a hectic schedule, but it helps to know what to expect. Another innovative way to take an LPN to RN program is to take the classes online. This can make all the difference to an LPN who has multiple responsibilities that they have to meet. In this scenario, you would take the didactic classes online. These are the science classes, such as biology and possibly chemistry, and the nursing theory classes, such as history of nursing and assessment techniques. You can read the class material whenever you have the time and submit tests when you can. This offers the most flexibility to a working LPN who wants to pursue further training. One caveat you must consider is that all nursing programs require a clinical component for completion. Online studies are no exception to this rule, and you need to make room in your schedule for the allotted clinical times. Most of the time, the clinicals will be on the weekend, and you have the bulk of the week to complete the course work that is delivered online. For this reason, not many online LPN to RN programs are distance learning venues. Most of these programs are colleges that are local to the student because the clinical experience has to be coordinated with local facilities. It requires a great deal of oversight for a student RN to have the clinical experience, and the distance learning colleges are unable to establish these relationships. Many colleges now offer the didactic classes to become an RN online, and then the clinicals are arranged once per week. If you are an LPN, pursuing your RN may be your dream. It is certainly an achievable dream, but you should take the time to determine which program is the best for you. Consider your schedule, your goals, and the educational opportunities around you, and you could call yourself an RN in as little as two years.